Find the perfect fit for your preferred journaling style, whether you like to write, draw or use a bullet journal. 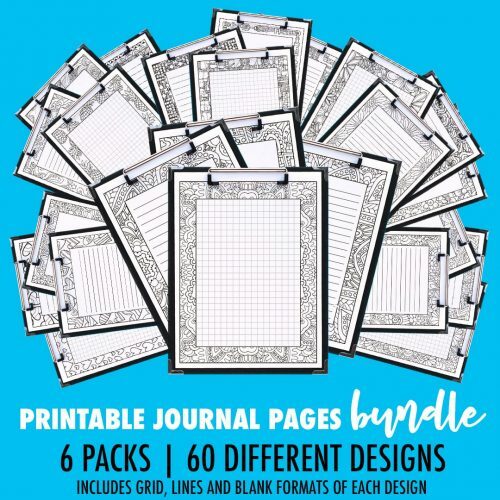 Each page is designed to print on a standard US Letter paper, but you can also use your “scale to print” function to resize them to any size you would like to include them in your current planner. 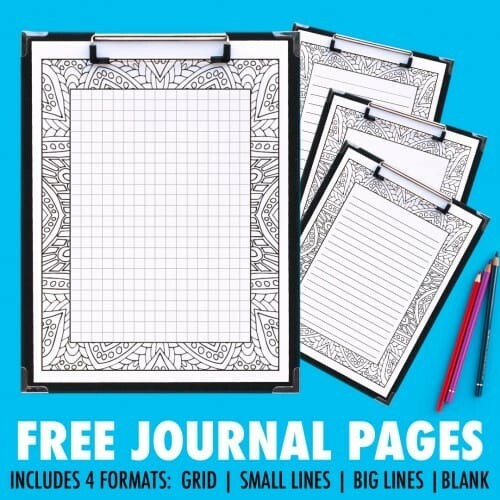 Awesome FREE journal pages with multiple uses. Thank you Sarah! I want to make my own journal and these pages are perfect. 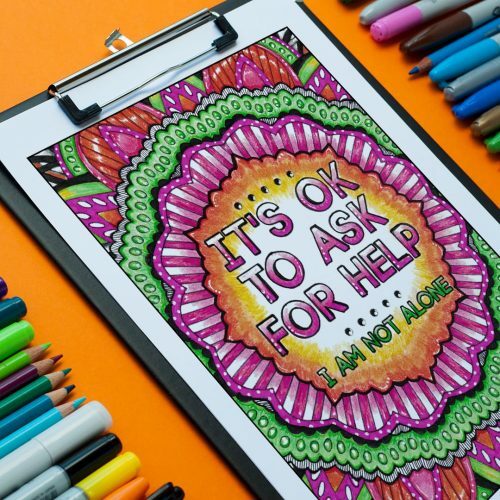 I can color them any color I like. Thank-you. Fun to use. 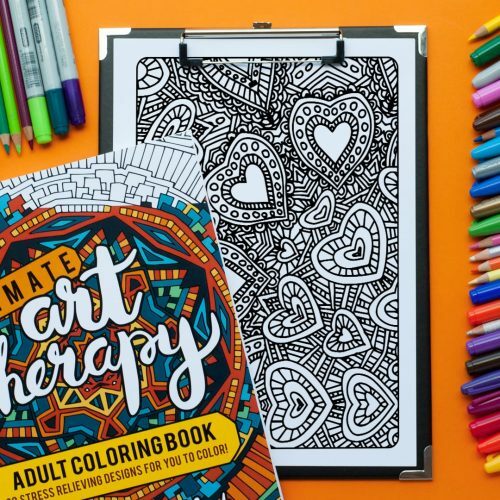 I am preparing this for my friend who loves coloring. I always love them, Sarah! Thanks! These are incredibly cool!! Love the fact that I can color while bored at work!! going to use in my bos.. I am artistically challenged so these wonderful pages are just what I need to “pretty up “ my planner! These journaling pages are so adorable. I love them! I also like the fact that I could download them to use over and over again! 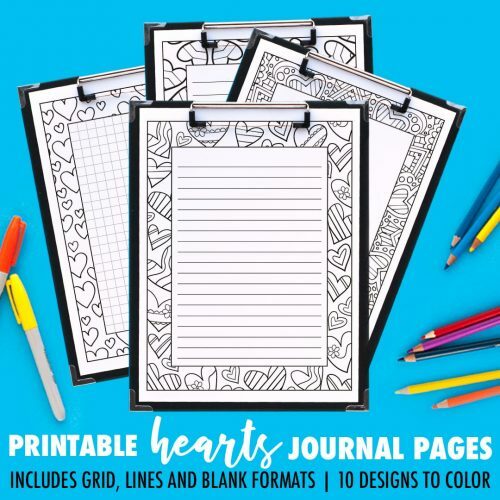 I can use them multiple places; in my journals, day planners, notebooks, and I can use them with my granddaughters when we journal together for bible journaling and bible study. The uses are endless! 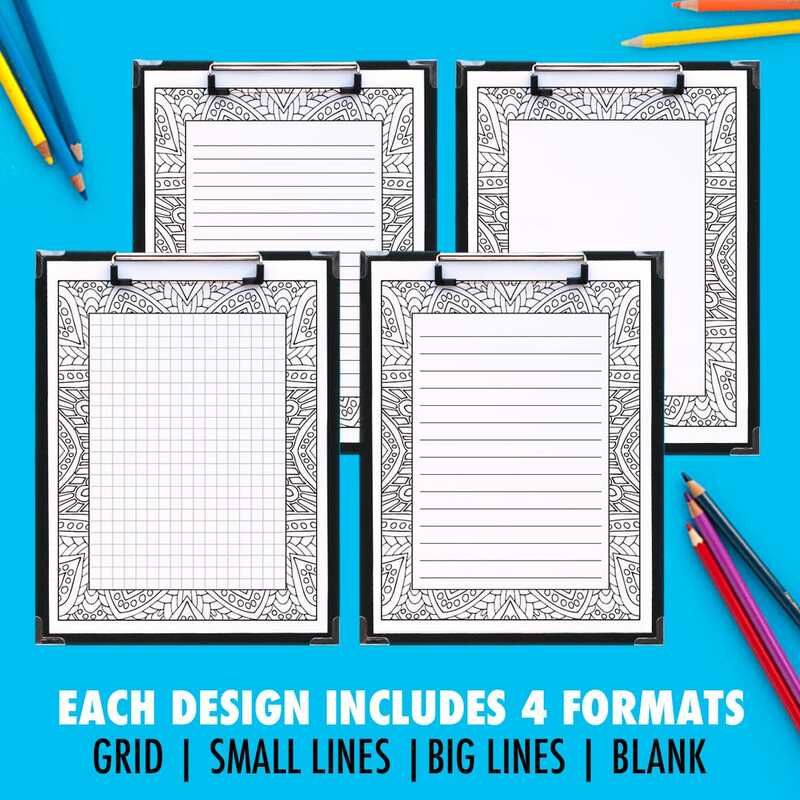 Can’t wait to use and share more of these unique Printables! I’m always on the lookout for unique things like these to use because all of us are on a budget, right?! One of my sisters is in collage in Pittsburg, this will help me when I want to send her letters. A product with 100’s of uses and also a choice of which version to use. Love the journal pages!! Very awesome!! Very beautiful as well as practical ~ I look forward to using these journal pages! Thinking and looking into journaling and printed this set out and they are great, exactly as I expected! These will be very useful in class. Got these for my daughter and she loves them! 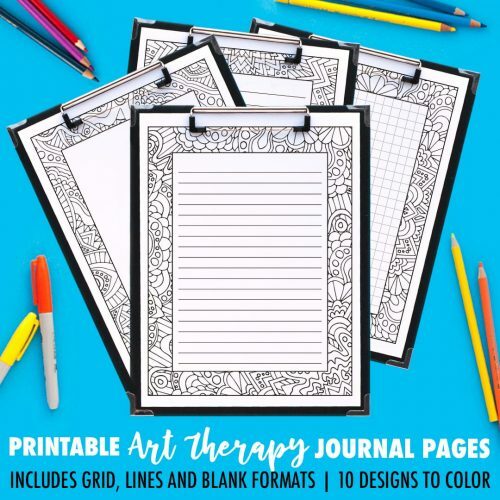 I haven’t had a chance yet to print the free journal pages, there are 4 different types of layout lined close together, plain,square, wide line, all in all very useful pages, and it’s so easy to order. Would recommend. Surprising my artful niece and daughter with this. 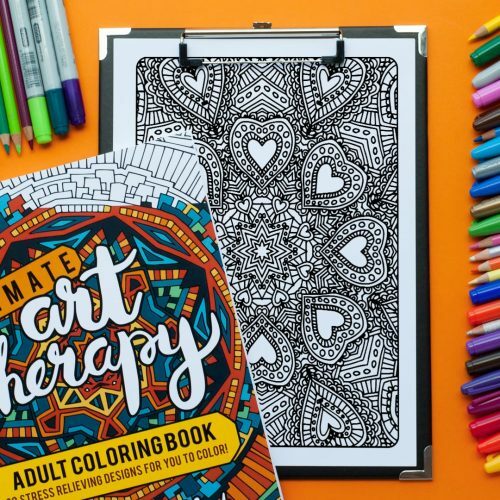 Perfect, this is what I needed for my creating colors before I start coloring. Thanks!!! All four I ordered. Same comments.